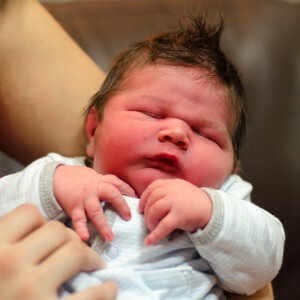 We had been planning a hospital birth–actually, I’d really wanted to give birth at home, but wasn’t able to find a mid-wife who would take me (I’m high risk due to having type 1 diabetes), so I ended up planning to deliver at the same hospital where I’d delivered before, but with a new doctor. The further I got into my pregnancy, the more repulsed I became at the thought of another hospital birth. 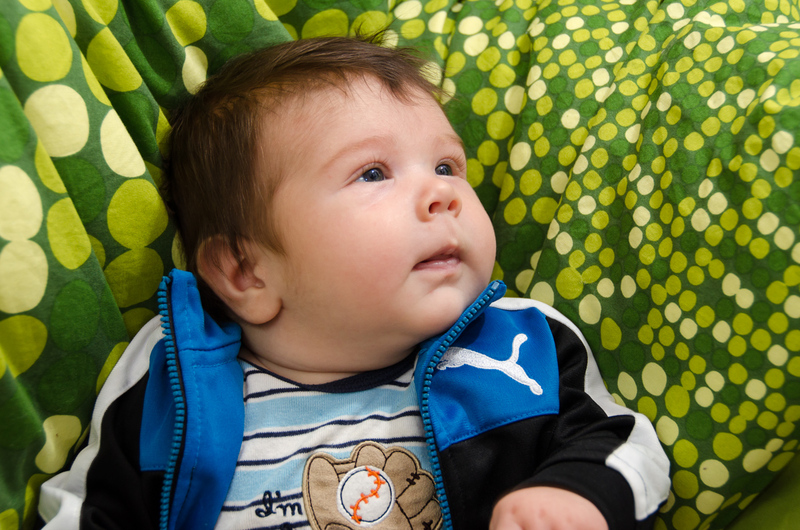 I liked my doctor, but left every appointment feeling unsettled–I wasn’t sure how I’d go through with the hospital birth, and I wasn’t sure I was supposed to. Then, at 33 weeks, I became very very sick and hospitalized for a couple nights, which is a whole other story, because I nearly died and was again rescued by God (I seem to collect near death experiences). At 34 weeks pregnant, my doctor dropped me as a patient (I now know that he’s on medical leave with serious issues, and the chaos in his office regarding my care was not personal.) And also around 34 weeks, my husband’s insurance changed, so delivering at that particular hospital was not possible for us anyway. We did try to have my care transferred to another medical system, and the disorganization from both systems caused that not to happen. With all this excitement, we started asking God specifically what we were supposed to do, and if Xavier was alright (I had not been able to see a doctor since the hospital visit, and knew there was a possibility for complications because of all we’d gone through). The night after we’d prayed, I had a very elaborate prophetic dream, and my husband, Ben, was given the interpretation. The dream essentially involved me floating down a river, completely blind (have you ever been blind in a dream?–it’s wild), and my eyes were only opened when I reached a beautiful destination. There was a lot more to it, but that was the essence. We knew at that point that we needed to follow the Lord’s direction without knowing the details, and we both knew in our spirits that it would be an unassisted home birth. (Being rational people, we also both held onto the idea that we could always walk into a hospital if necessary.) It was a big deal to me that Ben would even consider an unassisted birth–earlier on, he wasn’t even that comfortable with a mid-wife. So, I took it as a huge sign from God when Ben interpreted the dream by declaring that we were supposed to give birth at home, by ourselves. I think the Lord gave both of us a great deal of faith. It was 4:45 am on September 25th, when, for the third or fourth time that night, I got up because my heartburn was so bad I couldn’t lie down. I began exercising on my fitness ball, and suddenly, Xavier engaged into my pelvis and my water broke; it was now just after 5 am. I ran into our Master bathroom, called for Ben to wake up, and decided–because I hate messes–that I was going to stay and labor in the bathroom. I felt a very thick and tangible presence of God and was SO excited to finally be in labor. My contractions started as soon as my water had broken, and Ben timed them right away to be only one minute apart. I had Ben roll my fitness ball into the bathroom so I could use it in labor, and also labored quite a bit standing up with hula type moves, or over the toilet when I felt like squatting. I remembered to praise God at the beginning of each contraction, which helped me keep up my excitement for the birthing process. Toward the end (though I didn’t know how far along I was), I was so sweaty and tired that I looked over at the shower and thought, “If that were a bathtub, I would finish with a water birth.” But I kept enduring, and shortly felt like it might be time to push. I wasn’t sure, so I prayed that God would give me wisdom. It’s very cool that the body naturally knows what to do. Not only did God speak personally to me that it was time, but as soon as I started pushing, I realized that I couldn’t have stopped my body’s natural process if I had wanted to. In fact, I’d actually tried not to push at one point, but my body kept going, so I decided to be in unity with the natural process. Ben was on the phone with my dad when I felt Xavier crowning. I called him to my side and waddled back over to my fitness ball where I delivered at 6:38 am–just four minutes after Ben had hung up the phone. I say, “I delivered”, but really, God delivered him, and Ben caught him. It was completely painless, so thrilling, and such an amazing bonding experience! I started nursing him right away as Ben read online about cutting the cord. A few hours later we had our first appointment with his pediatrician. Xavier Matthew was 9 lbs 12 oz, 21.5″ long, and very healthy. His name means: a new house, a gift of God. Our 2.5 year old slept through the whole birth (I wasn’t yelling or anything), and has adapted surprisingly well to being a big brother. 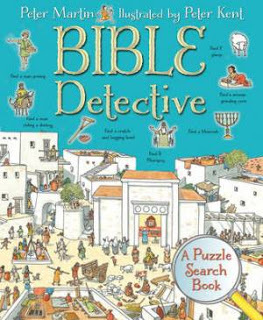 Bible Detective is a Bible puzzle book, similar in style to the Where’s Waldo? books that were very popular when I was a kid. Each double page view shows a time period in biblical history from Noah (Gen 6-9) to the port of Caesarea (Acts 21-28). The illustrations are compact, with lots of details, but are also clear enough to see without straining (some of those Where’s Waldo? pictures were pretty intense). This book shouldn’t give anyone a headache, but does provide a good challenge. There are multiple images to find on each page (23-65 objects depending on the scene), with answers in the back for those who get stuck. Most of the images to find demonstrate a historical or biblical message (e.g. find two children who are separated from their parents during the Assyrian attack, or, find Jesus turning the tables in the Temple courtyard). There is also a “wily fox” to find in every scene. I was also very impressed with the blurbs of text on each scene: they are concise, teachable, descriptions of the historical and biblical context of each picture. I really think children or teens could learn something while reading this; and, of course, the pictures are fun to find too.